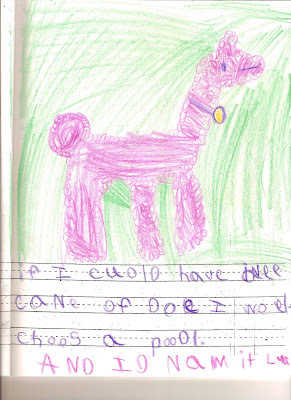 "If I could have any kind of dog I would choose a poodle. And I'd name it Luc." At least, I think it says Luc. I'll have to check on that one.